Where did Baby Shark come from? Why is it such a cultural phenomenon? Why does every child in the world seemingly love this song as much as anything in the world? 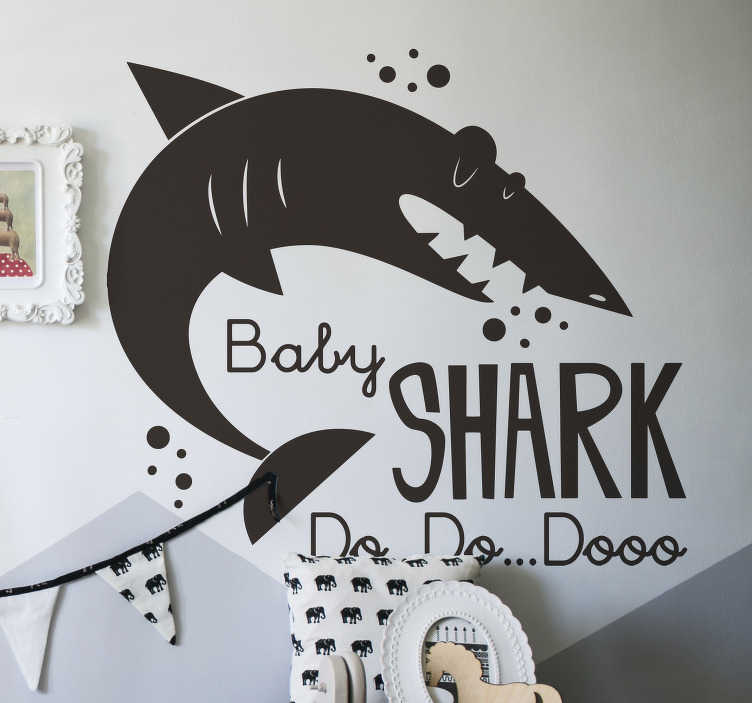 Well, we at Tenstickers cannot answer those questions, but what we can do is provide you with some great looking Baby shark themed decor with which to decorate your home! Absolutely ideal children´s decor for those who love Baby Shark and wish to show that to all visitors to their home!